Toenail fungus infections are all caused by a fairly common set of conditions that can affect up to 12% of the American population. A fungus is a living organism that enjoys dark, damp places. Because of this, most people get a fungal nail infection in their toes. It does sometimes occur on fingernails, but as the feet offer a much more hospitable environment, that is the most sought after area for these little life-forms. 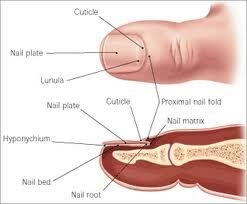 The fungus can live along side the nail, or burrow underneath the nail. There are several factors that determine where the infection is actually located, two of which are the progression and severity of the infection. How Can I Permanently Cure My Toenail Fungus?